OK, I admit, you have to look closely to spot them. 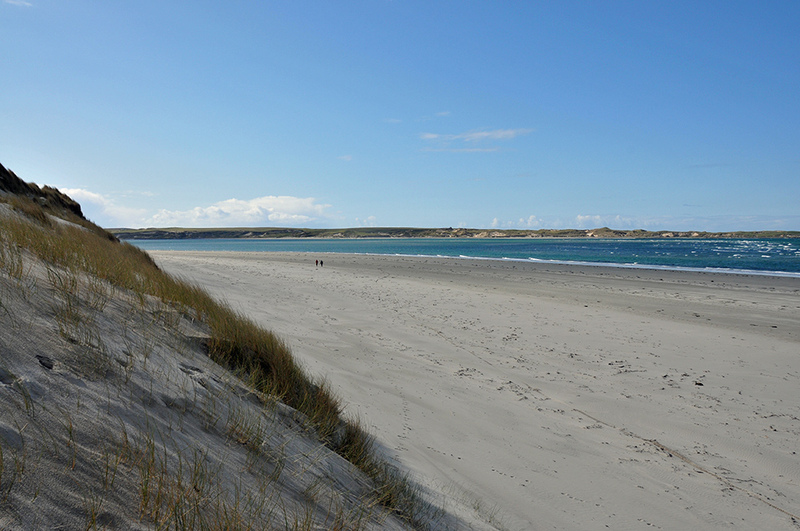 But there are indeed two walkers visible on the beach at Killinallan Point, walking along the entrance to Loch Gruinart. The dunes at Ardnave visible on the other side of the loch. This entry was posted in Beaches, Landscape, Repost, Sea Loch, Sunny Weather and tagged Ardnave, Islay, Killinallan Point, Loch Gruinart by Armin Grewe. Bookmark the permalink.